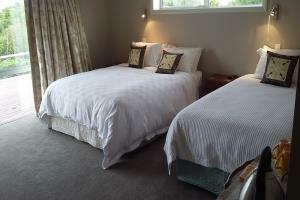 This room features a super king sized bed (which can be split into twin). A spacious 34 m sq with a large outdoor seating area as well as comfortable seating inside. Ensuite has a shower and includes underfloor heating. All rooms have access to the guest lounge and library. Please note in the "special requests" section if require twin configuration. 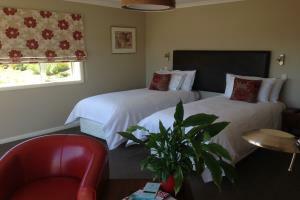 This room features a super king sized bed (which can be split into twin). A spacious 30 m sq with a outdoor seating area as well as comfortable seating inside. Ensuite has a shower and includes underfloor heating. All rooms have access to the guest lounge and library.Please note in the "special requests" section if require twin configuration. 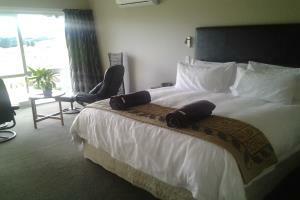 This room features a super king bed and a king single alongside. A spacious 33 m sq with a outdoor seating area as well as comfortable seating inside. Ensuite has a shower and includes underfloor heating. 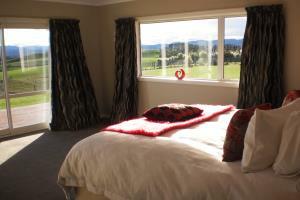 The room and ensuite are suitable for guests using wheelchairs. All rooms have access to the guest lounge and library. Can be booked as Double/Twin or Triple configuration. Please make special request if Triple configuration is required.